In the meantime, installing quality German learning apps to your Android device is the next best thing. 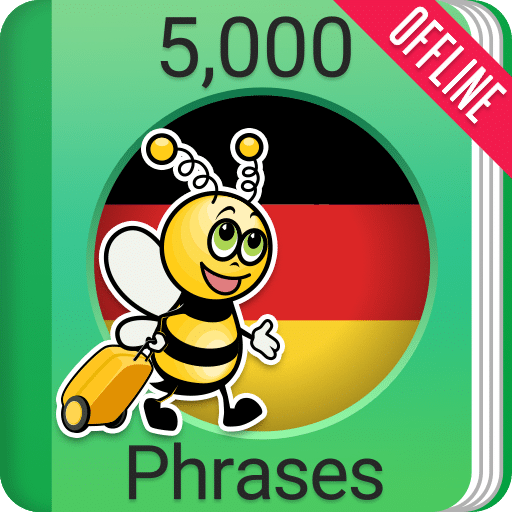 You’ll have all the vocabulary, phrases, grammar lessons and German content you need just a tap away. 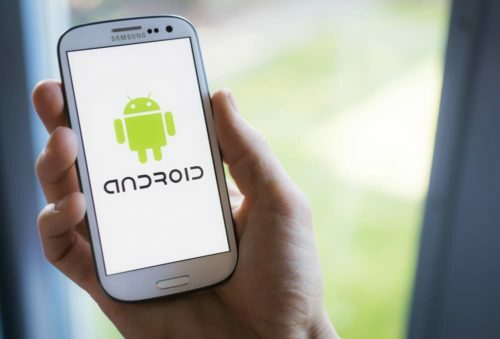 In this post, we’ve prepared a list of six excellent but very different Android apps for German learners. Each one takes a unique approach to learning the language. It might not be the cyborg revolution, but it’s something! There’s no better way to get used to real German than by, well, practicing with real German. 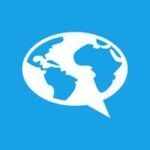 FluentU is designed to introduce that challenge in a carefully paced and natural way by breaking down interesting German content step-by-step for the learner. Every video has interactive subtitles in German. Clicking on any word gives you a picture and in-context definition, so you learn new words easily while you watch. There are also professionally translated English captions you can toggle on or off. There’s a free version with access to some of the videos, and two monthly pricing tiers for the full video library and all the learning features: $10/month for Basic and $20/month for Pro. Pro unlocks things like unlimited use of the flashcards and quizzes, but Basic already includes unlimited access to videos with the popup dictionary. You can try FluentU for free for 15 days with a FluentU trial. You get to watch real videos that real Germans watch. And unlike iffy YouTube auto-translate captions, you can rely on these quality, annotated subtitles and English translations. Nothing else comes close to the ease of use and seamless integration between watching and studying that FluentU has. 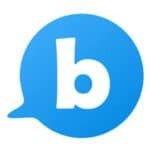 Busuu is one of the most talked-about apps on any app store. Tens of millions of people are using it at any given time. It’s a language course, a social network and a writing practice sandbox in one. You can expect a full-on German course with over 150 units, including grammar lessons and pronunciation practice with Busuu’s speech recognition technology. But they still manage to make the learning process convenient—it’s designed to be used in 10-minute spurts every day. This app is probably best for beginner and lower-intermediate learners. The courses don’t really go up to a very advanced level. By far the best aspect about Busuu is the fact that even free users get to be part of the writing correction section. Users are prompted in different languages to describe pictures or answer questions, and those are corrected by native speakers learning your language. This feature exists on other websites, but it’s genius to build it into an app. You complete a lesson about motion verbs and can immediately practice using those same verbs to write about whatever you’d like. Learn German 5000 Phrases may not have the catchiest name, but it makes up for that in sheer audacity. It’s free on the Play Store. This app is based on communicative competence. Nobody wants to just up and memorize a phrasebook, but it turns out that a lot of situations you find yourself in, whether in conversation or travel, happen to be pretty repetitive. It’s one thing to bring along a phrasebook on vacation and hold up the line at the butcher shop while you figure out how to say “half a kilogram” (true story). It’s quite another to have read through the phrases you might need in different situations and actually have given some thought to how you’ll use the language in another country. That’s what this app lets you do. Just note that this app won’t explicitly teach you grammar. You can actually learn a lot from massive numbers of example sentences, but if you don’t already have a good idea of German grammar, you’ll probably struggle a little trying to deduce it from these phrases. It’s better to have some knowledge of the language’s structure before you start cramming with this app. The whole thing is available offline, which makes it great for traveling. It also goes beyond just a list of sentences by providing games and quizzes for you to check your understanding and production of what you need to say. Tons of people are learning German for practical reasons. And to prove that practicability to other people, they need the evidence that a placement test provides. Taking an exam to prove your German skills isn’t something most people can do blind. 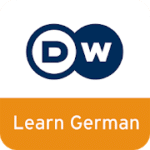 They have to specifically prepare for that exam, and that’s where this app from Deutsche Welle comes in. It’s 100% free on the Google Play store. This app starts out with a carefully-designed placement test to see where you stand. Then, for each level according to the CEFR from A1 (early beginner) to C2 (most advanced), you can explore targeted programs to help you shore up your weak spots. All of the content is streamed from the internet. That means the app itself won’t take up much space on your phone, but you’ll be eating into your data plan unless you can use Wi-Fi. 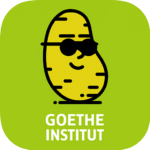 The video series and interactive vocabulary exercises have been developed by some of the leading minds in German education, funded in part by the German government. That’s right, entire government branches are investing in your German learning! If you’ve ever looked around for language courses, you probably at the very least saw some ads for Babbel. The video with those two polyglot twins is everywhere! When you learn German with Babbel, you’re going to experience a lot more direct instruction than you might with other methods. What do I mean by that? Well, they’ll tell you about the grammar rules for making, say, the past tense for regular verbs. Then they’ll show you an example and ask you to complete a similar example by filling in the blanks. This app may be best for beginner and lower-intermediate German learners, due to the amount of content available for different levels. However, the fact that it’s a monthly payment plan means that they have an incentive to keep improving the courses. A Babbel membership costs $12.95 per month if you purchase monthly, but that goes down to $6.95 if you’re willing to pay for a year up front. As noted above, the learning program is more direct than some other apps that just ask you to translate sentences back and forth. You’ll internalize the structure of the language rather than just memorizing rules by rote. 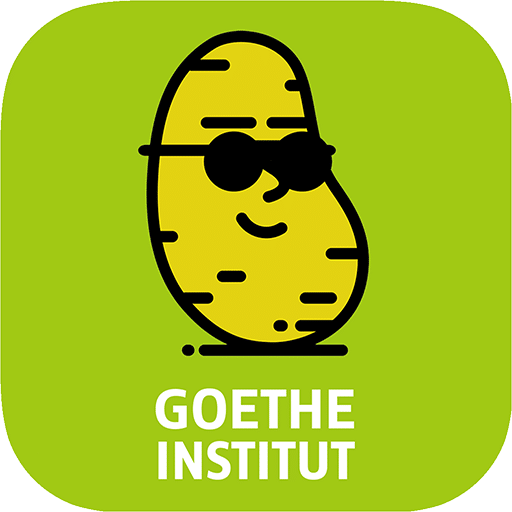 Heiße Kartoffel is just one of a collection of apps put out by the Goethe-Institut in Germany. If you haven’t heard, they’re a government-sponsored organization dedicated to promoting the German language. They’re the ones in charge of those fancy German language exams. Hot Potato (that’s what heiße Kartoffel translates to in English) works kind of like the classic childhood game. You race against time in every round to match up vocabulary words, grammar points or information about German-speaking countries of the world. The more questions you answer, the higher your score. As you can guess, this app isn’t a full-on German course, more of a practice activity. Although it does a great job of blending education with entertainment, you’ll definitely need to use it in conjunction with other German learning methods. This particular app is free on the Play Store. This app isn’t just you vs. yourself. You’re also racing against people all around the world, in real time, all in German. Your mind stays in German-mode while you rack up points. It’s kind of like Trivia Crack but eventually, you’ll win fluency in another language! The truth is, there really is no wrong way to learn. As long as you’re constantly testing yourself and constantly exposing yourself to something in German, you’ll keep making progress even if it seems like you’re just going in circles. It never hurts to expand your horizons—and these incredible German learning Android apps make it easy!